Advanced version of the Lotus Ring. This version has more details and I call it the Full Lotus. 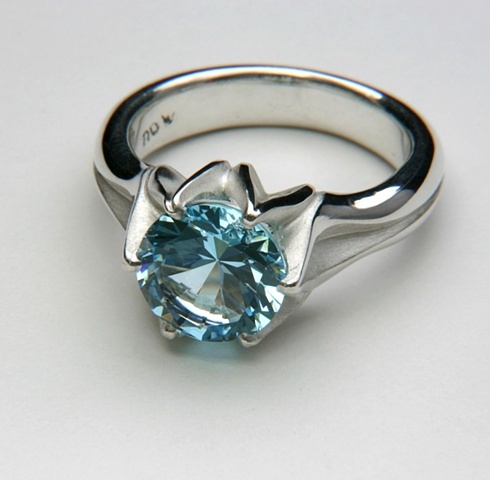 The stone is a very rare natural untreated blue Topaz, 4 carats, 10mm round.